Congratulations to the City of Royal Oak on the grand opening of Eagle Plaza! 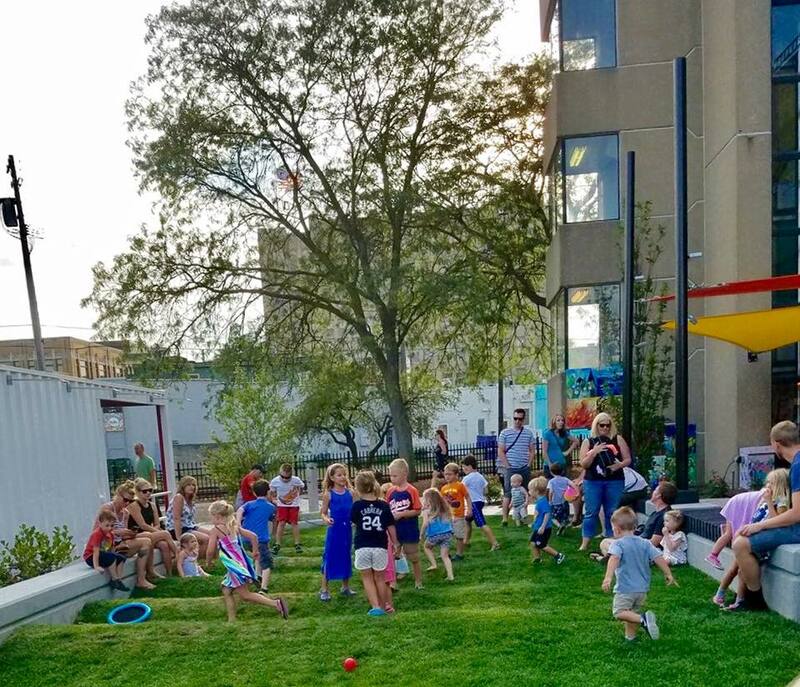 Hosted by the Royal Oak Rotary Club, the grand opening included a light dinner and dessert, an address from Mayor Michael Fournier, and a ribbon-cutting ceremony, all followed by the Royal Oak Commission for the Arts’ summer concert. A leftover space no longer, Eagle Plaza is a vibrant pocket park providing public bike parking, bio-cells for stormwater infiltration, a variety of seating options, an electronic kiosk / charging station, reclaimed materials, the use of a shipping container for storage, unique lighting design, and the incorporation of civic art. livingLAB is proud to have played a role in converting this empty pass-through into a destination, just one more enhancement to the Downtown Royal Oak experience. Prev - Beacon Park Grand Opening!!! Next - Lauren Hoffman, Certified Ecologist!